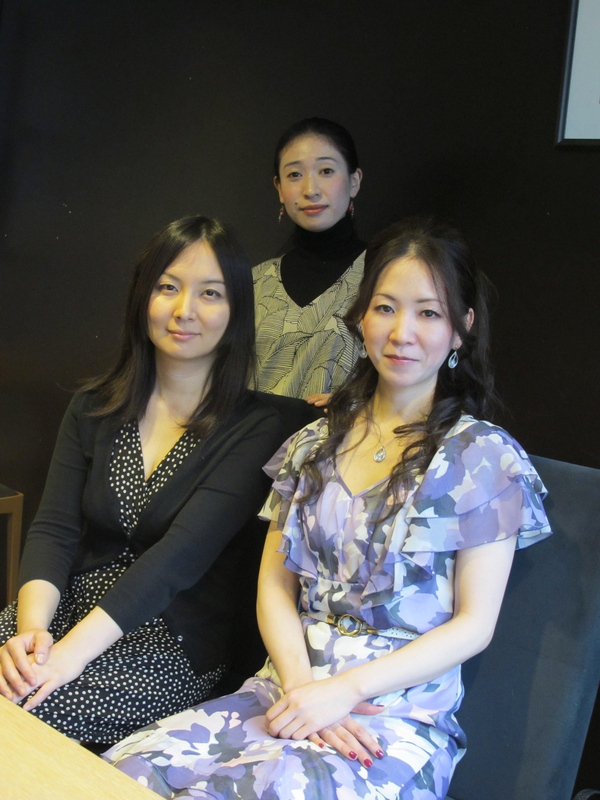 While assuring her that women had long been prominent in theater in Japan, back in Tokyo I arranged to meet three rising female dramatists set to present their new works this summer and autumn at Za-Koenji, a major publicly-financed theater in Tokyo’s Suginami Ward, to get their take on such matters. 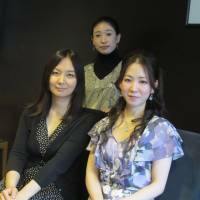 Straight off, Vanackere will surely be pleased to hear that each of these Tokyo-based thirtysomething artists has not only started her own theater company, but they are also aiming to make their mark at home and overseas. After that, Usui went to study drama in New York for two years from 2002 — seeing almost 900 plays while she was there. And, she said, she “never worried at all” that her gender would inhibit her ambition. Back in Japan, she founded Rising Tiptoe in 2006, and now, at Za-Koenji, she is staging a rerun of her 2010 smash-hit absurdist drama “Namonai Shukufukutoshite” (“Nameless Blessing”) about a mysterious nighttime gathering of people, none of whom knows why they’re there or who invited them. After graduating from university, she worked as a freelance journalist before, and for a while after, starting Minamoza in 2001 — the company she founded on determinedly gender-blind, non-hierarchical principles. Since then, as a writer and director, Setoyama has become well known for her socially aware works founded on detailed, journalistic-style research and interviews with people involved in controversial current events. At Za-Koenji later this month, she will stage her new play, “Wilco,” which draws on the story of a Japanese man she knows who joined the French Foreign Legion. “In theater, I always wanted to deal with war,” she said, “but I wasn’t interested in it as a desktop theory, even though I recognized that it has become a fiction to most of our generation. “Now it’s a big issue whether Japan should renounce the war-renouncing Article 9 of its Constitution, but I don’t see this being discussed properly because both sides are just arguing about war based on what they imagine it is like. Finally, the playwright, director and actress Honoh Horikawa calmly talked about her similarly untroubled rise as a woman in Japan’s theater world — and her aspirations beyond it. “I was in the drama club at my high school, then I did a degree in IT, but I was drawn back to theater after that and founded my Setagaya Silk company in 2008,” she said. And with a beaming smile, she declared how she “really looks forward” to touring abroad with her trademark “picture books for adults” presentations with lots of dance scenes built around texts she writes based on old novels or folklore stories. Again, too, Horikawa also inclines to the sort of issues likely to touch chords almost anywhere. “At Za-Koenji in October, I am adapting ‘Akai Tori no Iru Fuukei’ (‘A Landscape with a Red Bird’), a 1967 work by the masterful absurdist Minoru Betsuyaku,” she said — “though I am focusing on a small part of the text, which is about the death penalty. And, having successfully struck out on their own from Japan’s undoubtedly male-dominated world, it’s clear that the world beyond holds no real fears for this generation of pioneers. Now that women have so clearly found their feet in Japan’s theater world, it can’t be long before we’ll be reading reviews of their productions from far afield — and quite possibly from Annemie Vanackere’s theater in Berlin. “Namonai Shukufukutoshite” by Rising Tiptoe, “Wilco” by Minamoza and “Akai Tori no Iru Fuukei” by Setagaya Silk will be staged at Za-Koenji, a short walk from JR Koenji Station in Tokyo. For details, call 03-3223-7500 or visit za-koenji.jp.